The 'I'll Be Missing You' hitmaker, 45, has topped Forbes' annual list of The World's Highest-Paid Rap Acts after reeling in an estimated $60 million over the past 12 months. The rap mogul climbed into the top spot after his business ventures - including his TV network Revolt, alkaline water brand Aquahydrate, clothing line Sean John and Ciroc vodka - and work in the studio secured him the big bucks. 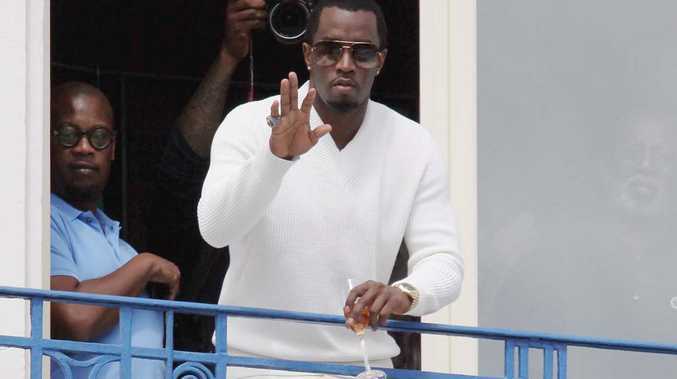 Diddy - who is reverting back to his original stage name Puff Daddy for his fourth album - just managed to pull ahead of Jay Z, who came in at second place with $56 million. While his sold-out 'On The Run' tour with his wife Beyonce contributed a large amount to his earnings over the past year, Jay's record label Roc Nation and alcoholic beverage venture Armand de Brignac champagne also helped. Coming in at third place was Drake, who has earned an estimated $39.5 million this year, due to his jam-packed impressive music schedule, while his endorsements from Sprite and Nike also spiked his earnings. Dr. Dre, who came out on top last year, has dropped down to fourth position with $33 million, while Pharrell Williams rounded off the top five with his earnings of $32 million. Meanwhile, Nicki Minaj was the only female rapper to claw her way onto the top 10 list as she embedded herself at number nine with a reported annual earning of $21 million.